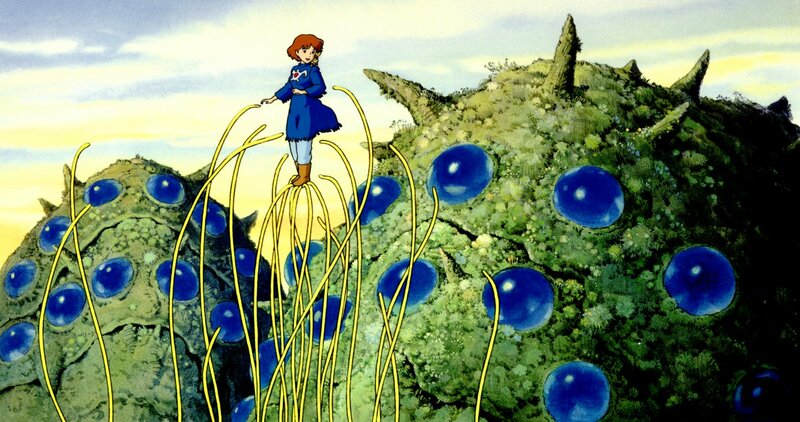 This piece examines the thematic relationship between Hayao Miyazaki’s Nausicaä of the Valley of the Wind and the Wachowski siblings’ The Matrix. 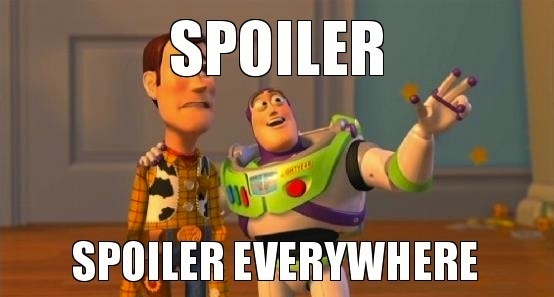 Needles to say, beware of spoilers. In 1984, one year before the founding of the legendary Japanese animation company Studio Ghibli, Hayao Miyazaki’s first major directorial effort was released. Nausicaä of the Valley of the Wind is widely considered one of the landmark achievements of eastern animation, and it stands second only to Spirited Away and Princess Mononoke in my mental hierarchy of Miyazaki’s œuvre. But what is most interesting about Nausicaä is not its pitch-perfect pacing or gorgeous artwork, but instead its underlying message about humanity’s relationship with nature. Nausicaä tells the story of one remarkable girl and her journey to understand the struggle between the industrial expansion of the human race and the natural world. The audience is almost immediately shown the toxic jungle, which on the surface appears to be a pure manifestation of nature’s blind rage. However, it becomes clear that the conflict is far more complex than that – as the film enters its third act, Nausicaä realizes that the poisons released by the jungle are actually a direct result of the human hostility toward its inhabitants. She understands that humans are in fact the poison, and that to stop the spread of the jungle, she must lead her countrymen and women into a period of unprecedented harmony with the nature. Fifteen years later, another film tackled very similar themes. When the Wachowskis released The Matrix on an unsuspecting public, the audience ate up its pop philosophy, high-flying kung fu, and fascinating science fiction tale with vigor. But again, there was more to the movie than its retelling of the age-old story of creator versus creation, man against machine. 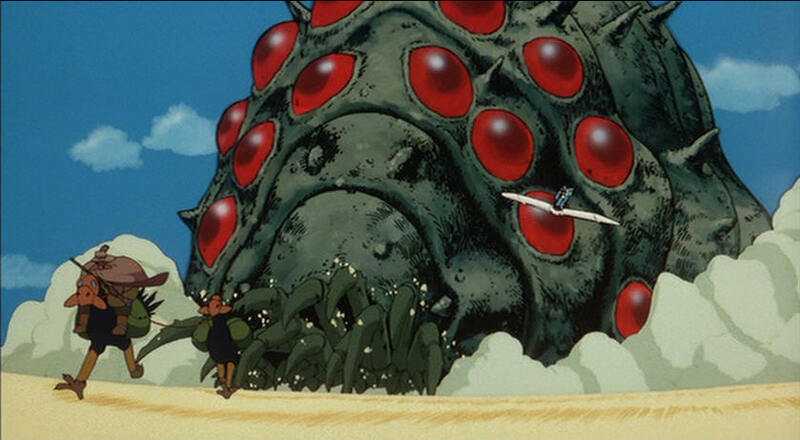 The ohmu insect from the 1984 Miyazaki film, Nausicaä of the Valley of the Wind. “I’d like to share a revelation that I’ve had during my time here. It came to me when I tried to classify your species… and I realized that you’re not actually mammals. Every mammal on this planet instinctively develops a natural equilibrium with the surrounding environment, but you humans do not. You move to an area, and you multiply and multiply, until every natural resource is consumed. And the only way you can survive is to spread to another area. In this fascinating monologue, Agent Smith seems to intimate that his existence, and indeed the existence of the greater sentient machine consciousness, is a direct punishment for the thoughtless, parasitic nature of humanity. Once again, mistreatment of the earth and overuse of planetary resources has led to direct karmic retaliation. Whether Smith’s “revelation” is accurate, or whether that purpose was self-designated well after they had achieved consciousness, the end result is the same as it was in Nausicaä: humanity has erred and is to be punished for its ambition and selfishness. In light of this, one has to wonder if some of the aesthetic design of The Matrix comes directly from Nausicaä of the Valley of the Wind. The most impressive and narratively-important jungle-dwelling insects in Nausicaä are the ohmu, a large, armored species that sport tentacles and multiple, bulging eyes which glow red when provoked. 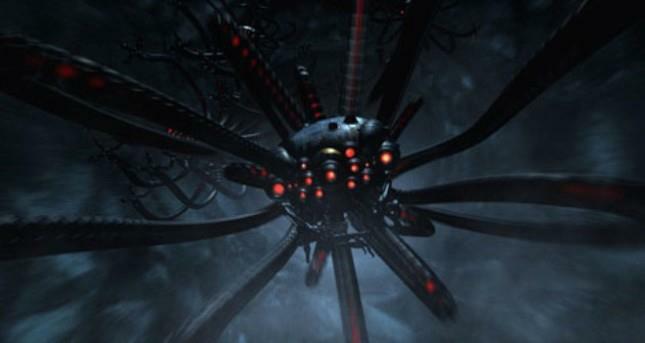 In The Matrix, the similar-looking sentinels are large, squid-like machines who scour the wasteland of the real world. These visual parallels make a lot of sense in the greater context of each film. Both the ohmu and the sentinels serve as terrifying, angry foils to humanity’s attempt at regaining control over the planet. And indeed, the agent programs in The Matrix and the toxicity of the jungle in Nausicaä as direct reactions to humanity closely echo one another. The Matrix is well-known to be an amalgam of many different stylistic influences – everything from Plato’s The Cave, to Hong Kong action films, and even animated Japanese movies like Ghost in the Shell. It is not so farfetched to presume some of the themes of Miyazaki’s manga-come-anime are present in The Matrix, and it adds yet another layer of fascination to two masterpieces of the twentieth century. So what do you think? Did I miss any other similarities? Feel free to leave a comment, and thanks for stopping by!